The more time you put into researching a decent setup for your recording studio, the better the outcome will be. For sure, the end result will feature crystal-clear sound and honest representation of all of your instruments, products, or audio programs. Now, in order to achieve this, you would need to invest in good-quality equipment. Among these include the best studio monitor amplifier. Finding the best one is not easy, which is why we are here to help you out. In this article, we review three amplifiers at the lower end of the budget scale (all can be purchased for just a few hundred dollars each or less). 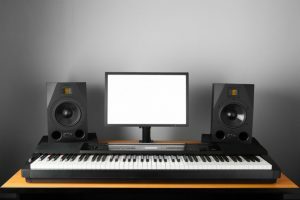 This is to try and determine which is the best among the best that will complete your dream studio setup. 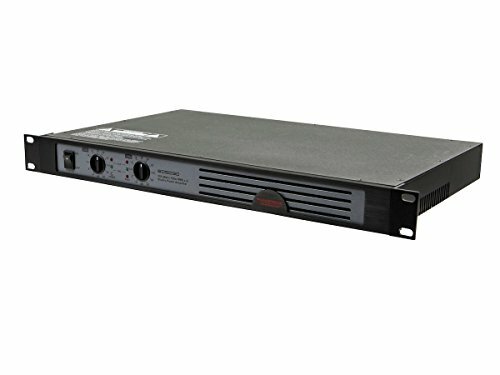 This power amplifier from Behringer is a 600-watt device that delivers ultra-linear power that is suitable for recording studios, as well as post-production, live sound, and hi-fi applications. It delivers accurate performance monitoring with precise level meters and clip indicators. If you’re recording vocals, or are working in a small space, and therefore need a really quiet amplifier, then this may be the one for you. This amplifier offers incredible affordability and great reliability for audiophile-grade performance. This amplifier’s power can be split into two channels, each driving 300 watts of power into four ohms. For bridged mono operation, 600 watts can be split into eight ohms. This power certainly gives you plenty of headroom to work with. The servo-controlled design means that it can be used in operation with almost any passive studio monitors or speakers. You have plenty of input options too. In fact, you can plug it in and play with almost any setup you may currently have. The same goes for the speaker output options, which offer the ability to choose between binding posts or ¼-inch TS connectors. The amplifier is of rugged build and contains high-quality components. The transistors in this amplifier, for example, will ensure that you will get years of trouble-free operation as Behringer only ever use Toshiba or Fairchild high-power transistors. Another factor contributing to this amplifier’s reliability is the use of tough, high-current toroidal transformers, which are efficient and effectively minimize potential noise interference. The Behringer A500 amplifier is noise-free and extremely stable, thanks to its advanced convection-style cooling system. The amplifier also has built-in thermal overload protection, which is communicated by LED warning lights for each channel, protecting both your amplifier and speakers. The second amplifier we chose for this list is also the most affordable one out of the three. Considering the price, you will be pleased to know that this amplifier delivers more than you would expect. This amplifier is light and compact, making it easy to accommodate in any studio setup but especially good if you are working in a small space. The Monoprice Studio Audio Amplifier delivers 300 watts of clean and stable power. It has two channels, which produce 150 watts RMS each into a four-ohm load, or 100 watts RMS into an eight-ohm load. When bridged for mono use, it can produce 500 watts RMS into a four-ohm load and 360 watts RMS into an eight-ohm load. On top of this, the amplifier is stable when used with reactive loads. This means that you can have a two-ohm load connected to one channel and an eight-ohm load connected to the other without any problems. This is great if you are working with mismatched studio monitors. Clean sound is produced with an extremely flat frequency response of 20Hz to 20kHz (+0, -1dB), with less than 0.05% total harmonic distortion, and more than 96dB signal-to-noise ratio. It features a selectable limiter too, which prevents high-volume usage from causing amplifier clipping, which can damage your speaker. Other built-in circuitry includes a full short circuit, open circuit, thermal, ultrasonic and radio frequency (RF) protection. This amplifier is pretty loud in operation due to the onboard fan, so it may not be ideal if you’re recording vocals in a small space. This can be addressed by opening up the top, disconnecting the fan, and leaving the top off. 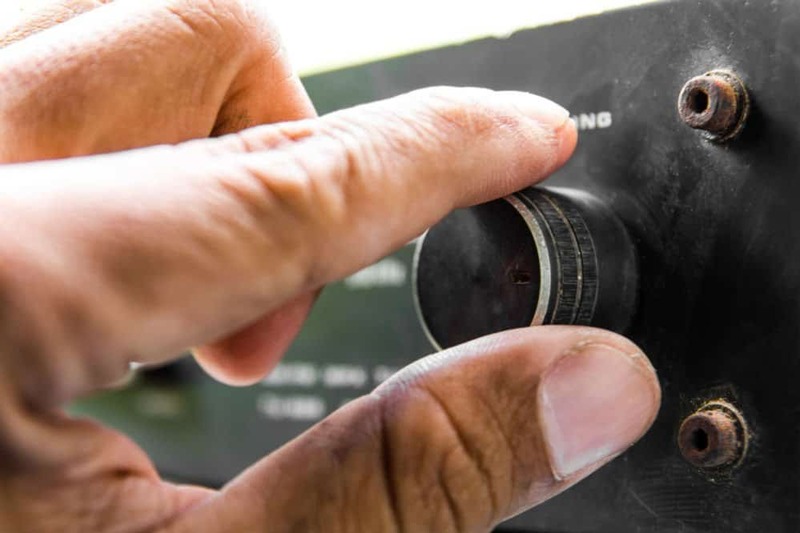 While this is not ideal if you are stacking amplifiers on top of each other, it does mean that you end up with a solid-performing, noise-free amplifier for minimal cash outlay. The final contender for the best amplifier is the ART SLA4 rack mountable power amplifier. What do you think it offers that the others don’t? Let’s find out! 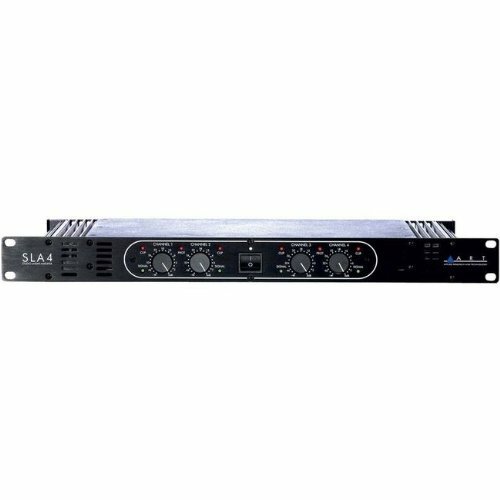 This amplifier delivers power through up to four channels at 100 watts per channel for eight-ohm loads or 140 watts for four channels with four-ohm loads. The amplifier can be bridged to deliver 280 watts per (bridged) channel and two x 100 watts for eight-ohm loads. What this does is give you more versatility for connecting your amplifier to more than two studio monitors and for changing your setup at any time. This amplifier is fitted with toroidal transformers, giving it better efficiency than other transformer types. It also offers cooler operating temperatures and a low magnetizing current that produces less noise. This amplifier is very compact. For such a powerful amp, it is rather heavy, although not the heaviest on this list. The input options are also rather limited, and depending on your studio setup, you may need some adaptors to convert the TRS to RCA. Nevertheless, they’re not an expensive outlay, just more to think about. 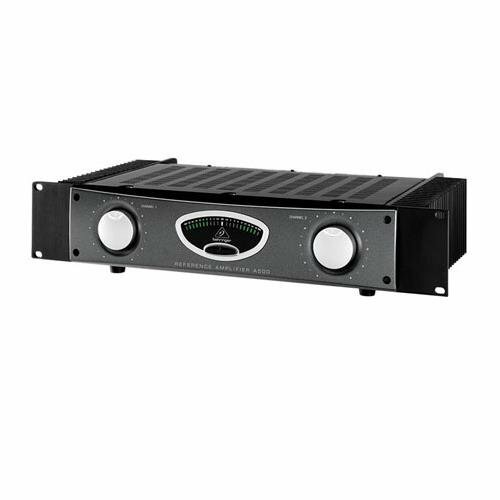 This amp provides a solid sound and is great if you have limited space but need more channels, powering speakers with sensitivities in the high 80’s or low 90’s. It’s not so good for more sensitive monitors, though. The best studio monitor amplifier for you will always be dependent on what your needs are, what studio monitors you are powering, and what you want your setup to look like. If you are on a really tight budget, then the amplifier from Monoprice is great and really performs outstandingly for the money. If you need four channels but don’t have a lot of space, then the ART SLA4 Amplifier could be the answer you are looking for. However, we think that the Behringer is the best overall. It is powerful, versatile, and offers noise-free operation. Built to last with high-quality components and rugged materials, the Behringer A500 will assist you in your music production for years to come.